As part of our beta-test launch we will be creating a secure Source Audio Music Buyer site for 7 of the top post-production and theatrical marketing agencies in Hollywood! What is a Source Audio Music Buyer site? These are individually branded, secure music search sites created for in-house production purposes by any production company, post production company, advertising agency, music supervision company or any other industry based music licensor. When you agree to have your catalog linked to a Source Audio Music Buyer site, you are providing that company with direct access to all the music content on your own Source Audio site via their own in-house Music Buyer site (if you would like to restrict access to certain portions of your catalog(s) please specify those requirements). All updates, metadata changes, new catalogs and deletions that you make to your Source Audio site are automatically linked to all Music Buyer sites that you are part of. A major component of our upcoming Music Buyer Network launch will be our all new Requests feature allowing music supervisors to request music and listen and download responses directly from their site. Music Buyers will be able to post requests for specific projects, and you will be able to reply directly to them with tracks from your Source Audio site. It's all tied together in one cohesive system. All Music Buyer sites are fully locked down, with absolutely no non-logged in project creation, sharing, music playing, searching, downloading etc. and every account must be approved by the site administrator. Your content is extremely secure and will be locked down to the maximum capabilities while on the Buyer Network. To be part of this exciting new release and to have your Source Audio catalogs linked directly to each of the MusicBuyer sites listed above, simply contact us to setup a site on the SourceAudio network. If you already have a site on the network just send us an email and we'll get you all set up. You do not need to agree to all of the sites listed above, so please specify which sites you wish to be on. You will always have the choice to be added or not to any Source Audio Subscriber site and you can request to be removed at anytime. We sincerely hope you will be part of this incredible opportunity to have your music directly accessed by some of the greatest post production marketing companies in the biz. 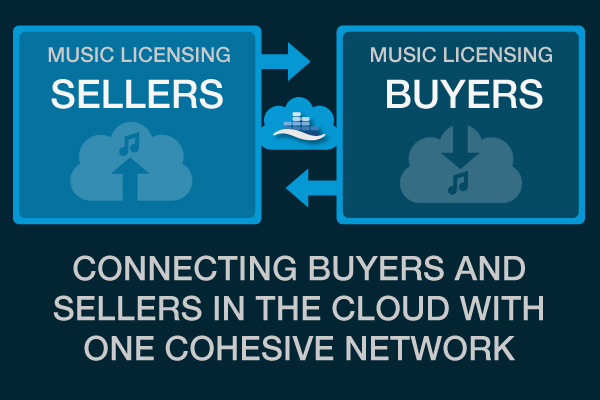 Once you enroll in the Buyer Network and as we add more and more buyer sites you will be in a great position to get your music directly in front of more and more of the major music buyers in the industry. If have any questions, please feel free to email or call anytime.